Successful meditation depends completely on the mental state of the meditator. Incense and candles facilitate meditation. While a candle creates a positive visual impact, certain fragrances in the incense impart positive impulses to the brain. 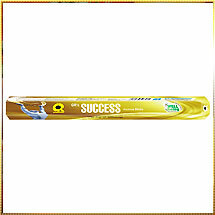 More importantly these positive impulses, over time, become a natural response to that particular incense. The mind becomes "conditioned" to respond in a particular way when that incense is used. Just as your personal belongings, the incense to be used during meditation should be of a special type to be used only during meditation.